It is now the talk of UK and many parts of the world where Royal Purple guests and their Royal Hostesses who are Princesses from Africa who support the charity work of Girl Child Network Worldwide gather to inspire, empower and do acts of generosity and giving back to their communities back in Africa. It is definitely growing as more and more supporters pour in. Never Again Royal night is now in its second year having been successfully launched in 2013 in the peaceful and quiet hotel in Thurrock, Essex, United Kingdom. The event was full house with over 200 guests coming from all over UK and Zimbabwe. 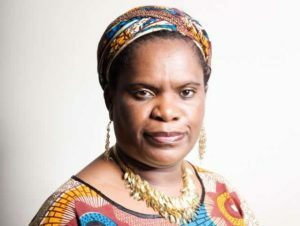 This year the event enters its second year with another best-selling book by Muzvare Betty Makoni expected to be launched in style on 5 April 2014. Event organisers have advised that in order for guests and participants to get the most out of the day, this time the event starts at 3pm sharp with book signing and networking as well as pictures on the purple carpet to ensure everyone gets the time to network fully as well as warm up to the empowering inspiring event. Muzvare Betty Makoni`s official autobiography, Never Again, not to any woman or girl again, birthed this event and the trustees and supporters of Girl Child Network Worldwide have made this the official fundraiser for the charity where it is now a culture to bring all supporters, donors and those who want to build the charity to grow and be strong to come to a weekend of inspiration and empowerment so as to get a test of some innovative programs the charity runs especially in Africa and the UK to support empowerment of the girl child in the home, school and community so that the girls develop into confident women leaders. `It happens once a year and this is the only official fundraiser for the charity just to bring everyone who supports us and spend some quality time renewing our commitment. Never again Royal night is an event we inspire our supporters whilst they give. We believe as much as our supporters give to us we should give back and no matter how small. You are all invited to be part of Never Again Royal night,’ said Muzvare Betty Makoni. The event is hosted by CNN Hero and multi global award winner UK gender based violence expert and Founder of Girl Child Network Worldwide, Muzvare-Princess Betty Makoni and Chair of Trustees , Her Royal Highness, Princess Deun Adedoyin Solarin who are expected to announce African Royal Awards to eight women who are role models and heroes for girls empowerment worldwide. This is the first time a book to be launched on same day written by Muzvare Betty Makoni entitled The Inspiring and Empowering World of Muzvare Betty Makoni is expected to bring a poetic rhythm into the women`s lives that will unite everyone in supporting each other as well as girls who are at risk and those living in places of instability, harmful cultural where there are no rights. This year, Never Again Royal night is expected to be bigger with a line-up of great inspirational speakers and guests from all over the world. Notable amongst those special guests is New York`s finest poet, Tantra Zawadi who is flying into UK for one of her greatest performances at the event. She will be signing copies of her new poetry book, Bubblesalongside Muzvare Betty Makoni. Esse Agesse, one of the best female Nigerian musicians of all times now based in Ireland besides receiving a prestigious award at the event is hoped to share on her project Women of Love International which last year supported Girl Child Network Worldwide and its networks. The musical couple Femi Iloyi and Roucheon Iloyi will perform the long awaited song, Never again which is expected to bring guests to an unending dance. Roy Mourton, the music man is expected to welcome the guests with his solo music. At the driving seat and event Program Director is Pauline Long, Founder of BEFFTA who contributed immensely during the program in 2013 to make it a big success. She will be assisted by Vonayi Nyamazana Founder of Khaya Inspired women and Secretary General of African Charities Joint Fundraising Initiative. Never Again Royal night is honoured to welcome some guest speakers amongst them to include Ifrah Amhed a renowned FGM activist and campaigner all the way from Ireland. Anita Bradshaw, Spiwe Harper, Lindani Masuku, Fikelephi Jackson, Sandra Lewis, Angelah Gomah, Leah African Designer and Florence Jemwa Kadondo are some guests who will inspire and empower guests throughout the night. Evangelist Elizabeth Kalonga is expected to spiritually grace the occasion. Even though exact names of the women to be honoured has not been officially released but on the shortlisted candidates so far are big names like Her Excellency Joyce Banda, motivational speaker Glo Diamond,Tola ‘WiseTola’ Onigbanjo, Susan Jumoke Fajana-Thomas,Lorna Campbell and many others whose names will be announced here shortly. Out of a list of 106 the two are on the short list which remains a top and official secret of the African Princesses. Book Critics and readers to include Theresah Tholanah, Linda Kute, Mary Ajoke Akangbe, Patricia Tsiga,Bongie Williams, Annalia Mugomba and many others. A number of sponsors have confirmed.There are many products that will be on sale and they will be announced here too.